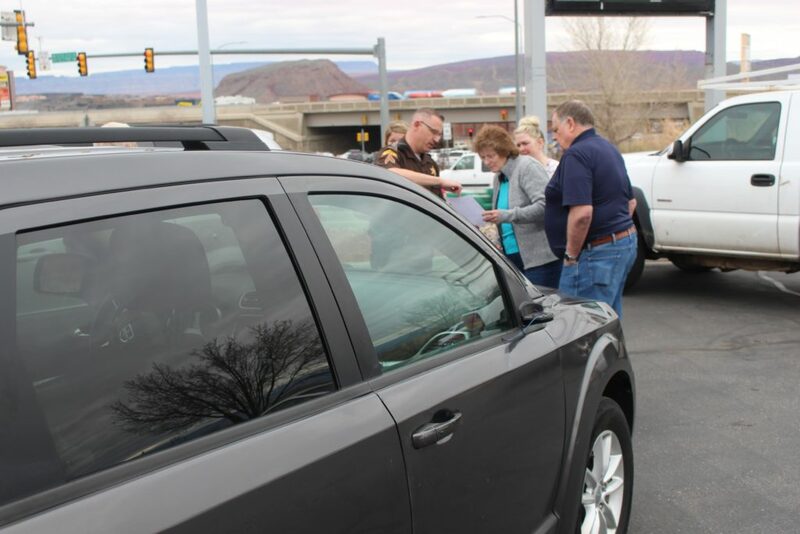 WASHINGTON — A man who stopped his car in the middle of Interstate 15 Monday afternoon just south of the Green Springs exit also got out of his car and stepped into traffic, according to witnesses. 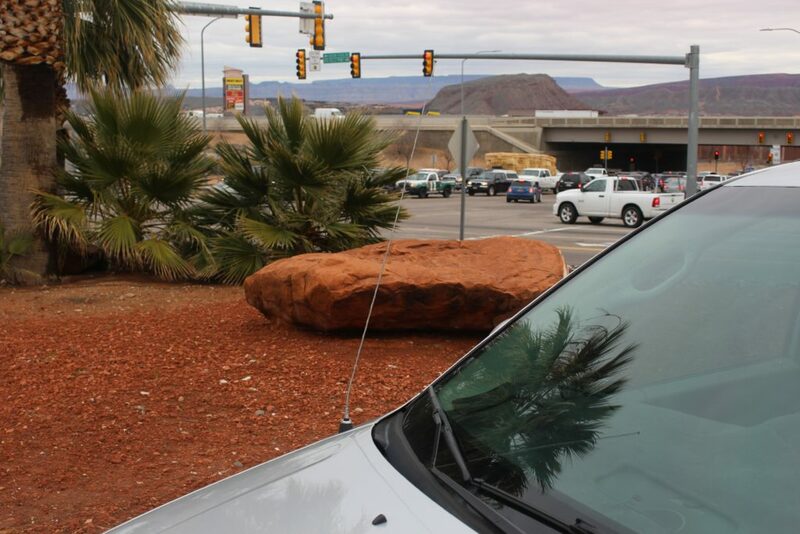 Lori Novero of Las Vegas was driving the minivan that hit the man first. The man wasn’t done, however. Hicks said the man then threw himself at the next car in line, a car driven by a couple from Las Vegas, Nevada. 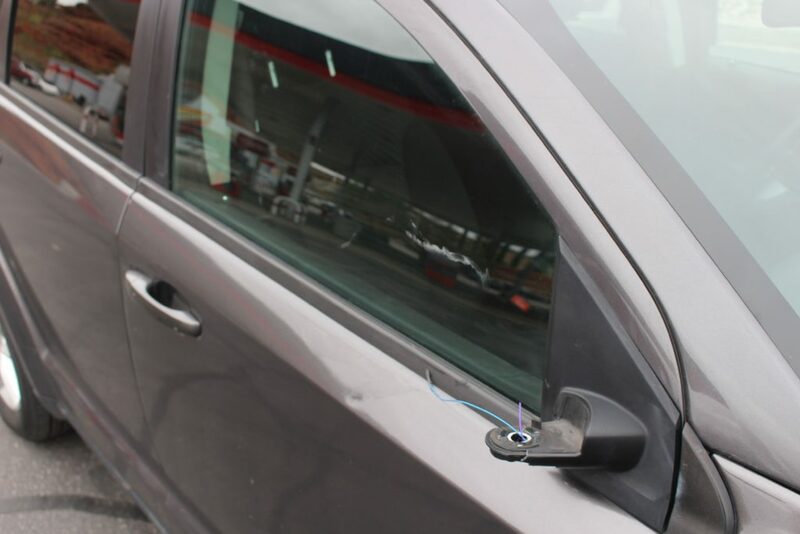 He broke the right rearview mirror off when he struck the vehicle, hit the pavement, and didn’t move. Hicks said the man was transported in stable condition to Dixie Regional Medical Center in St. George. “I don’t understand why he would do something like that,” the passenger in the second car, Denise Hunt of Las Vegas, said. Traffic was at a standstill for about 15 minutes, backing up quickly to the Bluff Street on-ramp. The left two lanes were eventually opened, the right lane remained closed for about an hour while investigation and cleanup occurred. The PT Cruiser was towed while the other cars involved were able to drive away after the investigation. Hicks said no citations were issued and the incident remains under investigation. 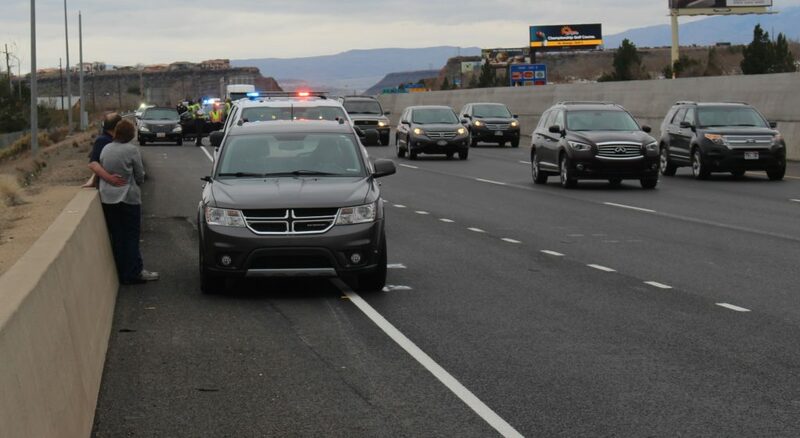 Units from Utah Highway Patrol, Washington County Sheriff’s Office, Washington City Police Department and Gold Cross Ambulance responded to the scene. Where & when will we hear more about the driver of the PT Cruiser? Otherwise this is an incomplete story. The report is based on preliminary information available to us at the time of the incident, Mr. Staggs. You’ll see that noted at the close of the report. As the driver was transported to the hospital, information on his condition is protected by privacy laws. When more is provided to us, we will update as appropriate.